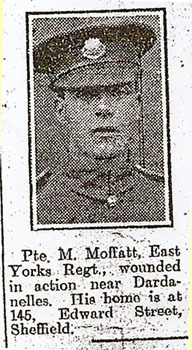 William Moffatt, served with the KOYLI. He was Kevins' grandfather, he died 7 days after Kevin was born in 1958. He had lost a leg in the war. Williams brother also served, he was 17422 Private Matthew Moffatt, East Yorkshire Regiment. 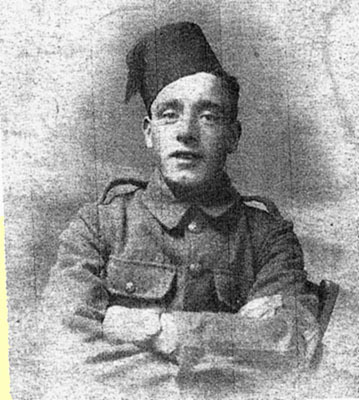 He was discharged after being wounded at the Dardanelles.